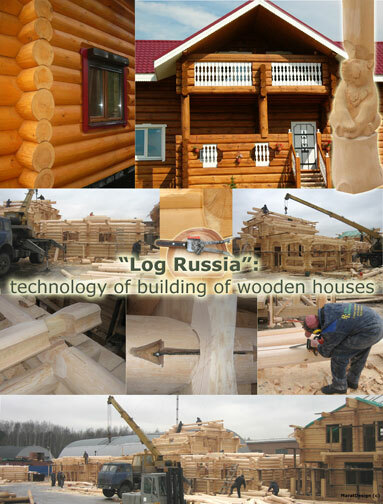 German and Canadian technologies of "Curtaining of external corners"
Secrets of building of wooden homes and bathhouses from masters of the company "Log Russia"
Building of wooden log houses is a difficult process and to the person far from the building industry, it is sometimes difficult to understand, why the houses constructed by different companies under one project, first, have different cost, and, secondly, after the lapse of several years, have absolutely various appearances. - Why in some houses it is always necessary to calk seams? - Why cracks are formed between logs after 2-3 years? - Why in one house it is possible to put a bed in a corner or near the window and it is possible to sleep comfortably, not being afraid of draughts, and, in other, the bed is better for placing near internal wall? - Why on walls from a round log there are deep lateral cracks in which the moisture constantly accumulates? - Why in notches the mould and fungi starts to develop? There are many other different "why" which with delay are set to themselves by owners of wooden cottages and baths. We will not result all of them, but we will try to open building subtleties of wooden houses as it became more clear to you, for what you pay money, ordering yourselves a house in the building company. On what it is possible to save, and on what it is inadmissible to save. We will acquaint you with everything that we know and we use in the work, with our "know-how" and with the technologies used and in other companies. 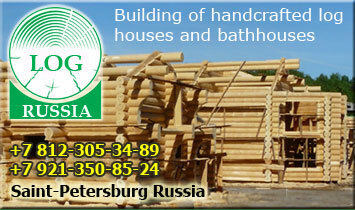 Masters of company "Log Russia" have a long-term operational experience on designing and building of wooden houses and baths. This experience mentions not only Russia, but also foreign countries, first of all Norway, Germany, Spain, a number of other North European countries. Working with exacting European customers, we have managed to master the modern technologies of building and now we propagandize them in Russia. In the given section (it includes 10 articles) we will consider all processing methods which we use in the work. Among them it is necessary to allocate first four because the given technologies practically are not used by other Russian companies in full. Considering our democratic financial policy, you can be assured that you can receive the house or a bath of better execution for the same money, than in other companies. We have tried to describe essence of all techniques applied by us in detail (exclusive and well-known). We hope, that the presented material will be interesting and useful to you, will help to generate more intelligent opinion on view of your future house. Besides, now you will know, on what moments it is necessary to pay attention at the contract conclusion to building of your future dwelling. 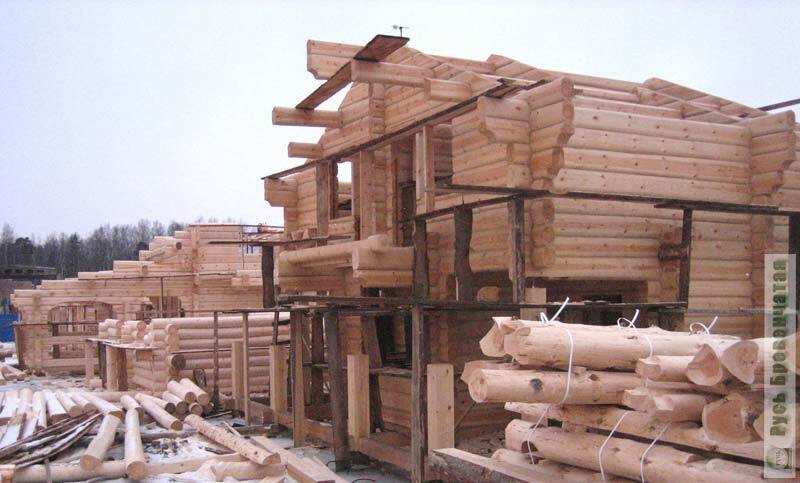 The technologies distinguishing production of the company "Log Russia"
And also to see you on our building site (see the photo lower), or to answer your letter sent to info@spbrb.ru or transferred through the form of inquiry. Fig. Panorama of northern part of a building site of the company in settlement "Janino" (Russia, St.-Petersburg). 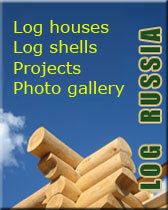 The resulted information is the intellectual property of " Log Russia". At a reprint of materials, the reference to a company site is obligatory.